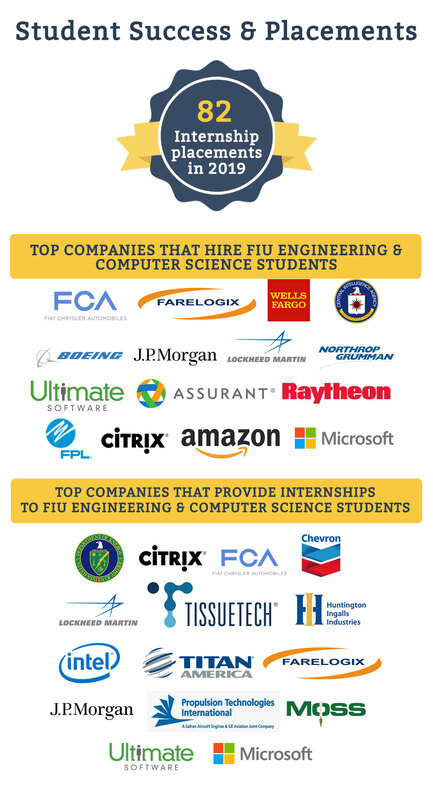 The College of Engineering and Computing is committed to providing quality education, problem-solving research, and community engagement through local relevance, national visibility, and global exposure. 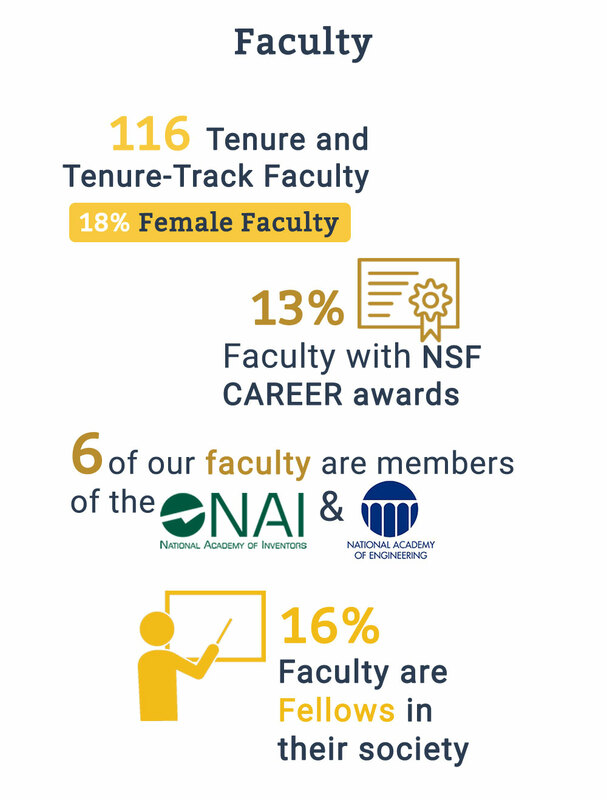 As an educational leader in a changing economic, technological, and social environment, and as the research engine of the university, the College is proud of its growth and accomplishments in recent years. 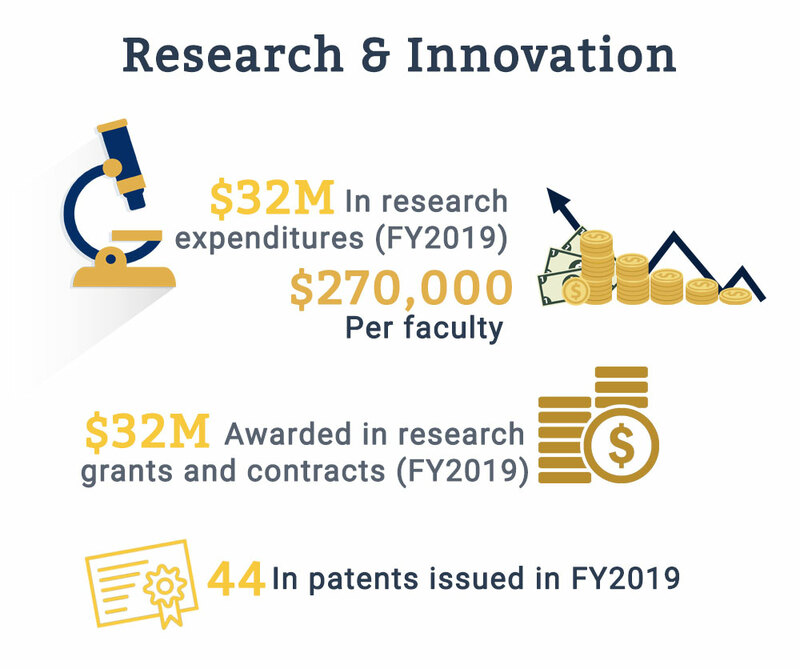 Our research expenditures have increased more than 40 percent between FY2012 and FY2017 ($17.4 million to $24.5 million), and the number of patents awarded to our faculty has increased almost 6 folds. Furthermore, our ASEE and NSF HERD rankings have seen significant improvements. 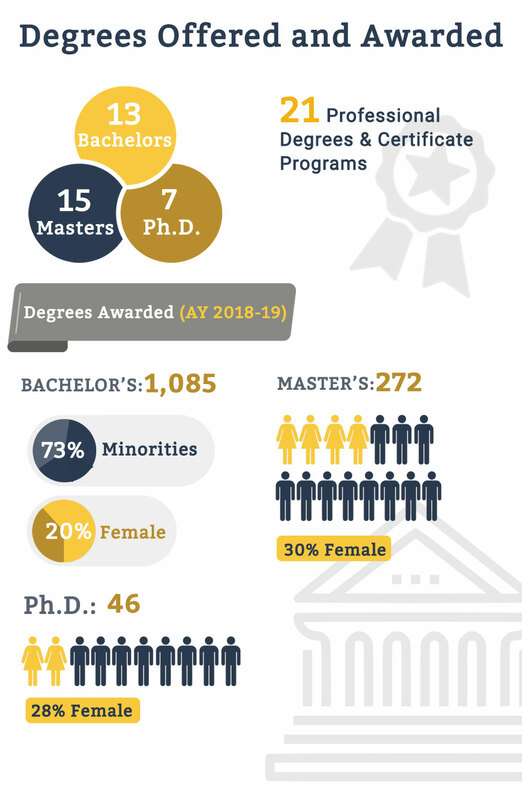 We rank #1 in the continental U.S. in awarding bachelor’s degrees to Hispanic students and #9 in awarding bachelor’s degrees to African-Americans (source: ASEE 2017). Please view the infographics on this page to learn more about our points of pride, facts and figures. College of Engineering and Computing is proud of its distinguished faculty, who are leaders in their fields. Please click on the button below to see a select list of their achievements and recognition nationwide.